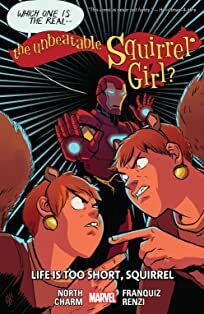 In the past few issues, Squirrel Girl has “died”! She’s fought “Iron Man”! And her world has been invaded by a non-zero number of SKRULLS! It’s been a crazy ride, but gosh, it sure would be nice to know WHY this is happening, WHO is behind it and WHAT machinations – sinister OR otherwise – that they’ve been working toward! Good news: This issue reveals all! Mysteries are laid bare! Secret origins are revealed! 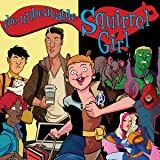 And your friend and mine Squirrel Girl is FINALLY brought back from the dead! 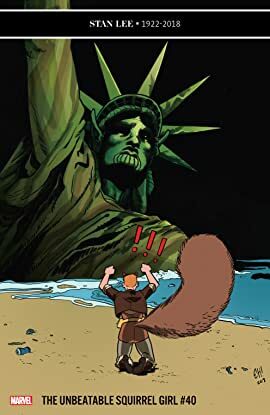 If, like me, your tastes in serialized literature run toward words and pictures in deliberate sequence, then I’m proud to recommend to you THE UNBEATABLE SQUIRREL GIRL #40!